Today's technology allows anyone to do what was once limited to a small percentage of people. Now you can become your very own broadcaster, DJ, and program director when you start your own internet radio station. The approach you take to creating streaming internet radio depends on your goals, the learning curve you're willing to undertake, and your budget. If you're truly inspired to begin an internet-based radio station that operates for the purpose of generating revenue, your path will be different than for someone who just wants to share favorite music or opinions with friends or like-minded people. Several excellent options for the novice require very little technical knowledge. If you can create audio files, upload them, and choose a few options, you can reach a global audience. 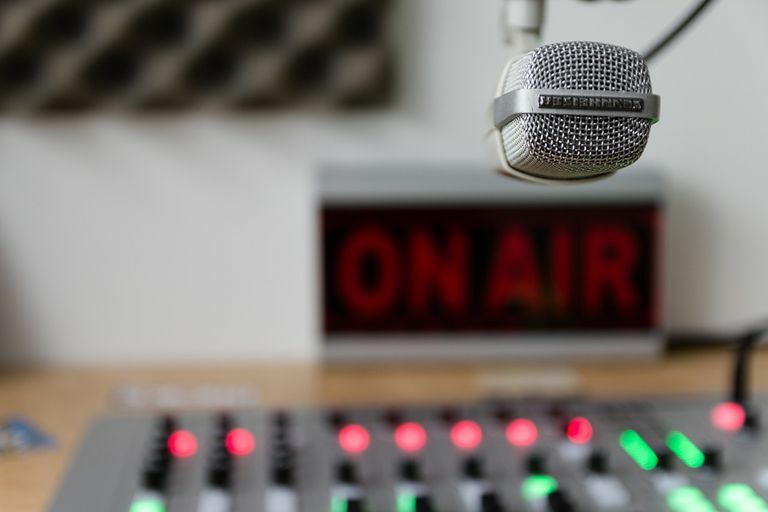 There are tips you can follow to help you get started making your own radio program, such as learning the different types of radio programs you can launch, and understanding that there are after-production things you need to do, too, like promote your show. Live365 was among the first providers of independent web-based internet radio streams. It acts as your transmitter: Their technology allows thousands of audio streams to use their servers to make internet broadcasting simple. All plans at Live365 offer an unlimited number of listeners, unlimited bandwidth, US/Canada/UK music licensing, monetization capability, and a handful of other features. Live365 costs a bit more per month ($20–$70) if you choose a plan that isn't ad-supported. In other words, allowing ads in your program reduces the monthly cost you have to pay. Radionomy is another option for making your own radio station online, and it's totally free regardless of how popular it gets. The main interface that Radionomy creators use is the Radio Manager. This web-based dashboard puts all the controls in one place to run your own online radio station. You select the name of your station, music, and rules for music rotation. Just upload your media to Radionomy, and within 24 hours you'll have yourself a free internet radio station! If you don't want to pay the fees or use a third party to host your internet radio stream — and you're a do-it-yourself kind of person — you might do well creating your own online radio station. This setup uses your own computer as a dedicated server to do the job. Quicktime Broadcaster: Apple offers this description: "Apple's standards-based live encoding software that lets you produce professional-quality live events for delivery over the Internet or high speed cellular networks ----- quickly, easily, and affordably." Peercast: Peercast is a nonprofit site that provides free peer-to-peer broadcasting software. Using peer-to-peer (P2P) technology, Peercast allows you to create your own radio programs without the costs of other streaming services. Icecast: Icecast is another nonprofit solution for streaming audio and video. Its chief selling points are versatility with file formats and its support of communication and interaction standards. Andromeda: Andromeda is delivery-on-demand software that allows you to stream your audio content. All you do is add it to your Andromeda-powered site. You don't even need a camera to use a video streaming service to host your radio program, so long as you can fill the video with an image for listeners to see as they hear your radio program. That type of still-image video can be accomplished with most video makers by making a slideshow or expanding an image to take up the length of the whole radio program length. Most people like to start off with a nice logo and might even show sources or relevant info on the video during the radio program. When you upload your radio show's audio files to a video streaming website, you can gather an audience on that platform, too, such as on YouTube. With the right software and service, you can even broadcast your radio program live. Internet radio expenses vary greatly depending on the size of your broadcast and the method you're using to send it out into the world. You can choose a third party to host your broadcast or spend a few thousand dollars to buy a computer to act as a server. Whichever direction you take, remember: Your first priorities should be to please your listeners and to enjoy your newfound platform.